The Serpent Sea is the second book in The Books of the Raksura series by Martha Wells, following The Cloud Roads. The third book, The Siren Depths, is scheduled for release in December 2012. Warning: Since this is the second book in a series, there may be spoilers for the first book in this review. If you are interested in reading about the first book in this series, here is my review of The Cloud Roads (one of my favorite books from last year). Moon, the solitary Raksura found by Stone of Indigo Cloud, has found a place with the court as consort to Jade, the sister queen. After all the trials Indigo Cloud has faced against their Fell enemies, the entire court is need of a new home. As the oldest member of the group, Stone remembers the mountain-tree they came from, which still belongs to Indigo Cloud even though they haven’t lived there since he was young. Since most other territories in the area are claimed by other Raksuran courts, all of Indigo Cloud makes the long journey by flying ship to the cavernous mountain-tree that was once home to their ancestors. When the Raksura of Indigo Cloud finally reach their new home, they are more than ready to leave the flying ship and start settling into their new home. However, Stone has a feeling that all is not right, and it is soon confirmed that something is very wrong when some of the Raksura discover that the tree’s heartwood is dying. The seed necessary for the tree’s survival has been stolen recently, and Indigo Cloud will need to find a new home all over again if the tree cannot be saved. Their search for both answers and the missing seed brings Moon, Jade, Stone, and a few of the other Raksura on a new journey – to another Raksuran court that has a history of strife with their own court and to the distant Serpent Sea and a living land rife with magic, secrets, and danger. The Serpent Sea is a fantastic book that expands on the inventive world introduced in The Cloud Roads. While the first book focused on the Raksura, the second book ventures into new places both with another Raksuran court and an island full of other races. It also adds a little bit of depth to the characters while showing Moon’s struggle to fit in with his own people after being separated from them for most of his life. 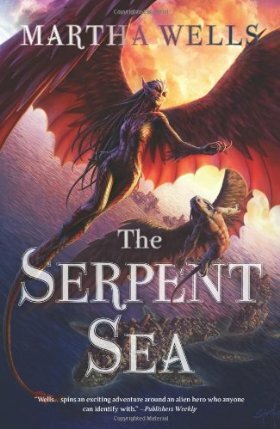 The beginning of the book did not engage me quite as quickly as its predecessor, but I ended up enjoying The Serpent Sea every bit as much as the first book in the series. It made me love the world and characters even more after spending more time reading about them, and I’m now incredibly eager to read the third book in the series. What continues to make this series unique is the world that Martha Wells has created. The Books of the Raksura bridge the gap between fantasy and science fiction by combining common fantasy elements like good vs. evil and quests with an alien world focusing on an original race of shapeshifters, the Raksura. Biology is destiny and the roles of each Raksura are defined by the type of form they have. Raksuran society has its own rules and norms, but that also does not mean the individual Raksura are so unusual that it’s hard to relate to them. They each have their own personality, and Moon’s struggle to understand his own people’s ways and resistance to the expectations that consorts are demure make him an endearing character. After being alone for so long, it’s not easy for him to navigate the rules and traditions of the Raksura. He’s not quite sure what sort of role a consort is supposed to have, but if it means sitting on the sidelines, he’s not having any of that. I love the gender role reversal and how Jade has to put up with her spunky male consort’s insolent ways. What I especially love about the gender role reversal in these books is that both the male and female characters are depicted as real people (or, er, Raksura). The females are stronger and have more power, but the males still add value to the community. Some of them are warriors or mentors, and the queens still ask the consorts for advice. There were times Moon seemed like the smart one behind the scenes who gave Jade valuable insight, and Stone’s years of wisdom were also important to Indigo Cloud. There’s a respect for all the characters and their roles in the community. Overall, I felt The Serpent Sea did a better job of fleshing out the characters than the first book. In the previous book, Moon was the only one I felt had any depth. 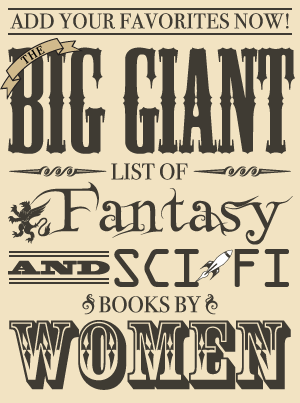 While none of the characters had enormous depth in this book, I did think Moon was not the only one who had any. There’s more of Chime’s humor and more of the consequences of what it means for him to have changed from a mentor into a warrior are shown. There’s a sense of Flower’s wisdom and Stone’s age and steadfastness. I loved the dynamic between Jade and Moon and Chime and Moon as well. This second book made me care more about the characters than the first, which mainly just got me to care about Moon. There are also some rather interesting new characters who are introduced, and more is learned about some new races that inhabit this world through them as well. As with the first book, it is very simply written, and I think this fits well with an adventure story set in a completely foreign world. The writing style is uncomplicated prose that is in the background, making the story being told the focus. The one complaint I have is that there is quite a bit of infodumping, especially toward the beginning, and I think that’s the main reason I had some difficulty getting immersed in this book to start with. There was enough telling that it kept the story from really getting going immediately. The first book also started off more quickly since Moon was immediately in a precarious situation, and I do think this one started off more slowly in comparison. Yet once it got going, I was hooked and did not want to put it down. The Serpent Sea is a wonderful continuation of the Books of the Raksura. It is brimming with creativity, adventure, and characters both relatable and endearing. I enjoyed it immensely and am eagerly awaiting the release of The Siren Depths.